Crown Awards is America's largest awards manufacturer, and with over 40 years experience as the industry leader, we have it all--from corporate crystals to sport crystals to recognition crystals. Simply select the crystal you like and personalize with your very own engraving. Crown offers 24 HOUR TURNAROUND (on web orders placed by 5:00 PM EST) on all in-stock crystal! Available In: 6", 7.25" or 8"
Available In: 8", 9" or 10"
Available In: 6.25", 7" or 7.75"
Available In: 8 1/4" and 10"
Available In: 7", 9.25" or 11"
Available In: 9" and 12"
Available In: 5 3/4" and 7"
Available In: 6.5", 8" or 9.5"
As America's largest awards manufacturer and with over 40 years of experience, Crown's crystal awards are perfect for gifts and recognition. Crown's crystal trophies are the perfect way to increase your brand recognition while simultaneously awarding your team, employees, clients and business partners alike. 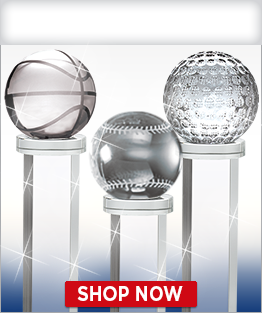 We have the largest selection of glass crystal awards available anywhere. 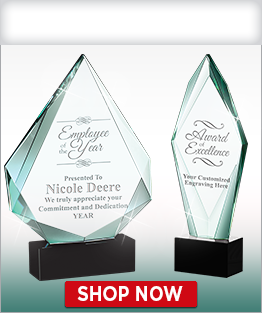 Our engraved crystal awards are created with a high-quality laser engraving process. Customize many of our awards with your own logo and engraving text. 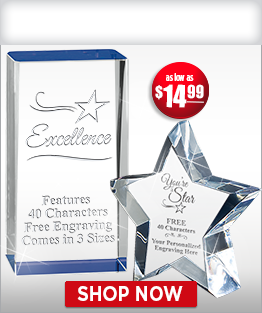 We include FREE engraving up to 40 characters all of our crystal awards! 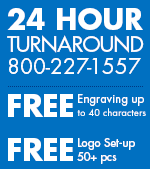 We also include FREE logo setup for orders of 50 pieces or more. 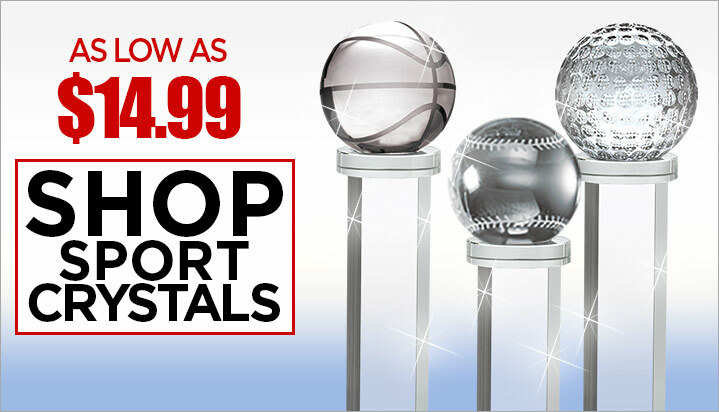 Crown's sport crystals are available for a variety of activities in a variety of styles. 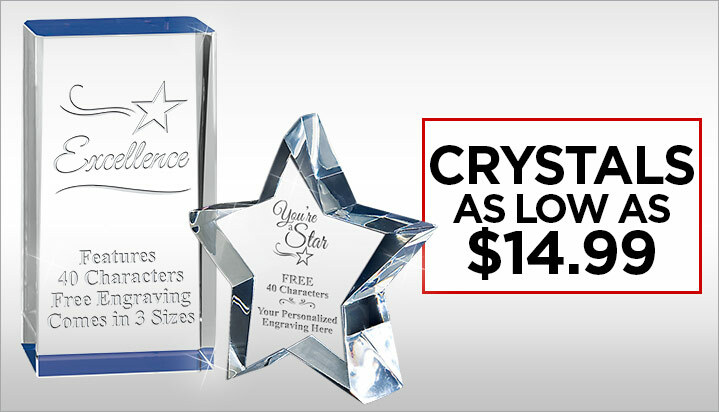 As America's largest awards manufacturer and with over 40 years of experience, Crown's crystal awards will fit your award crystal gift-giving needs whether your budget is large or small. 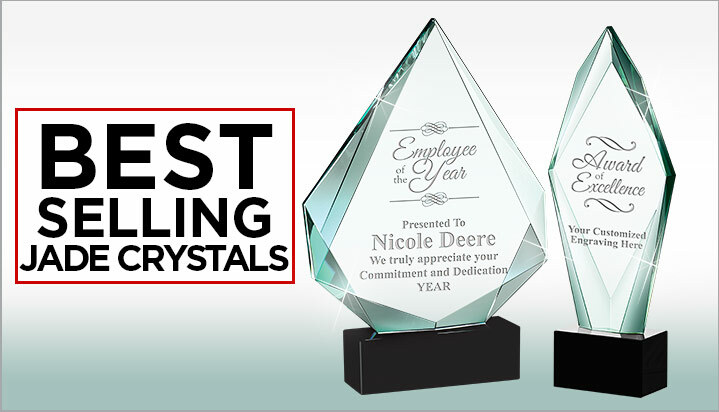 We provide our customers with superior customer service and the highest quality products at the lowest prices available, making us your crystal and awards manufacturer of choice.